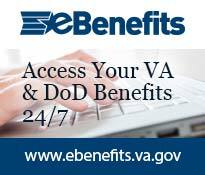 Online portal for all Veteran Benefits. If you are thinking of hurting yourself or others, contact the Veterans Crisis Hotline immediately and a responder will listen and help you through your immediate crisis. Your conversation will be completely anonymous and confidential. Support is available 24 hours a day, 7 days a week, 365 days a year. Support for deaf and hard of hearing individuals is also available. Call 1-800-273-8255 and press 1 or Text to 838255.